Welcome! Sign In | No account? Register. CraneNetwork.com will undergo another scheduled system maintenance on Sunday night, February 17, 2019 from 11:30 p.m. til 11:45 a.m. EST. During this period, the website may become unavailable. We apologize for any inconvenience. 4/13 4:50 Walter Payton Power Equipment opens new facility in Lebanon, Indiana. 2000 Freightliner FL70 - Ritchie Bros.
2003 Freightliner COLUMBIA - Ritchie Bros.
2007 Genie S60 - Ritchie Bros.
2017 Fassi F360SE.24 - CraneWorks, Inc.
2005 Broderson IC80-3G - Champion Crane & Tractor, Inc.
2005 Broderson RT-300-2C - Champion Crane & Tractor, Inc.
1999 Link-Belt RTC-8040 SII - Michels Machinery Co., Inc.
We apologize, we cannot find the crane you were looking for. In the meantime, here are some similar items you may find of interest. Please login to your CraneNetwork.com account first. Connecting buyers and sellers of cranes, heavy equipment, parts, and attachments for 20 years. 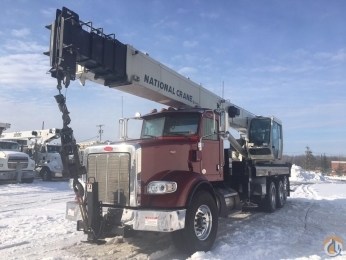 As one of the oldest, most recognized names in the online equipment marketplace, Crane Network has maintained its position simply by meeting its mission: To actively assist you in the sale of your equipment. Copyright by Crane Network, LLC, 1999-2019. All rights reserved. Reproduction of material appearing on this Web site is strictly prohibited without written permission.